The right time to run a business is . . . well there never is a perfect time. Economic indicators, elections, global events, volatile weather and changing trends all contribute to positives on the one hand and negatives on the other. Post-recession, the spa business has changed quite a bit. The spas that made it through are running lean and smoothly, and have been consistently busy for the last couple of years. Spa operators are struggling with Spa Staffing. 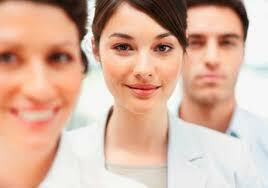 The biggest problem facing most spa operators today is finding enough qualified staff. The Bureau of Labor Statistics reports that the unemployment rate in the U.S. for May 2016 hit a low of 4.7 percent, which was the lowest it has been since November 2007. That’s good news for the country, but harder news for employers looking to hire staff members. According to a recent IBIS World Industry Report, there are approximately 300,000 to 350,000 massage therapists in the United States. So why is it so hard to find one when you need one? And that number pales in comparison to the nearly 8 million people working in customer service and retail positions. Yet does anyone running a spa today have enough desk and support staff? One component of all of these numbers that stands out to me is that the more we are paying in wages, the harder it is to find help! Job candidates’ attitudes toward work are changing. When perusing resumes for a position that I have posted, whether on Indeed or Craigslist, I am struck by the number of respondents who list jobs they have held for less than 1 year; sometimes for only a few months. There was a time when these short-lived engagements would be left off of the resume for fear of arousing suspicion on why a person couldn’t hold down a job, but today it seems to be common behavior. While doing phone screens of applicants for any position, I always ask how many hours per week they are interested in. They will usually say, “Oh, full time.” Then, when I ask how many hours that means to them, the response will range from the occasional 40 hours on the high side, to as low as 25 hours per week. The new version of “full time” is much different than the one some of us grew up with. I believe these behaviors are not a blip on the landscape, they represent changed attitudes towards work and the role it plays in our lives. Today’s younger worker (yes, Millennials) have a different, and probably healthier, approach to the role that of employment plays in their life. They don’t mind working, but it has to fit in with their other goals, which include volunteerism, social time, and furthering their education. Perhaps a side-effect of growing up in the technology age, they have less patience for positions that require a long lead time until they are fully trained, or that they might enjoy once they are fully engaged; if they’re not feeling good about the job within a few months of starting, they’ll just leave and find the next one. So what’s an employer to do about Spa Staffing? Interview Regularly – Rather than waiting until you think you have a particular open shift, keep your ear to the ground by interviewing prospects regularly. Keep an ad running on Indeed and refresh it occasionally. Use a program like Workable to manage the paper trail, and make sure to go through new applicants and scan resumes every week. Set aside a morning, perhaps every other week, to interview two to four candidates. Don’t worry if you don’t know exactly what shifts, if any, you would have available, you don’t need to know that the first time you meet. Hire Higher – When you do have an available position come up, let’s say for three or four esthetic or massage shifts, consider hiring two people to fill it. Divide the available hours among them, with the promise of more to come if goals/benchmarks are met. Those would include showing up for the first month! After training and orientation are complete, chances are good you’ll have a much better idea of who you want to give more shifts to, and who you don’t. Tighten Up Training – In the interest of creating “speed to effectiveness,” analyze your position infrastructure. Are your positions descriptions complete, and do they really depict what is required to be successful in the position? Is your training program well planned and clear? Are service protocols detailed enough? If you’re going to have workers less than a year, the sooner you can get them up to speed the more you’ll get out of them. Eliminate ambiguities around tasks and expectations. Make Work Engaging – Younger folks today are more likely to stay in jobs that are more than “jobs.” Especially in the spa industry, where the actual work can be quite solitary, make sure you create social opportunities. Maybe one night a month is set aside for a group activity; a bowling or game night, or even better, a volunteer opportunity. Cleaning up local streets, helping out at the SPCA, providing gratis spa services for specific populations on a day when you might usually be closed. Go beyond the typical “making people feel good” approach of the spa business, and you will see your employees become a more well-knit team. This is the new reality of staffing, so there is no sense fighting it. It will be more productive to adjust your hiring plans accordingly and do what you can to ensure that staffing, or lack of it, does not create a drag on your business. Are you facing staff challenges? Schedule a complimentary 30-minute needs assessment consultation with Wynne Business. Attitudes. That’s what matters their attitudes because technique can be taught. Glad to hear that you found some great people for your spa, Susan. It’s so important for the business. Thank you for the tip, Laurie, and the information about certification.